A tingling forefinger and thumb can be symptoms of carpal tunnel syndrome, a condition that affects the median nerve that runs through your hand and forearm. Carpal tunnel syndrome can worsen without treatment, hampering your ability to work and participate in sports or hobbies. Prompt treatment can help relieve pressure on the nerve and reduce symptoms. The bones and tissue of your wrist create a narrow, hollow space called the carpal tunnel. The median nerve and ligaments pass through this tunnel, allowing you to move your thumb, index, middle and ring fingers. Inflammation and swelling of the tendons or surrounding tissues place pressure on the nerve, causing carpal tunnel syndrome. In addition to tingling, symptoms of carpal tunnel syndrome can include numbness, pain, itching or burning in the palm, thumb and fingers. Pain also can occur in the forearm or palm. You might find that pain increases the more you use your arm or hand. Carpal tunnel syndrome can weaken your thumb, making it difficult to grasp doorknobs and other objects. Although you initially might notice symptoms more often during the night, the National Institute of Neurological Disorders and Stroke reports that you might begin to notice tingling during the day as the condition worsens. People whose work or hobbies involve repetitive hand movements, making pinching movements with hands or grasping objects with a bent wrist are at higher risk of developing carpal tunnel syndrome. Working on an assembly line, gardening, using a computer, sewing by hand, playing a musical instrument or working as a mechanic can increase your chances of developing the condition. 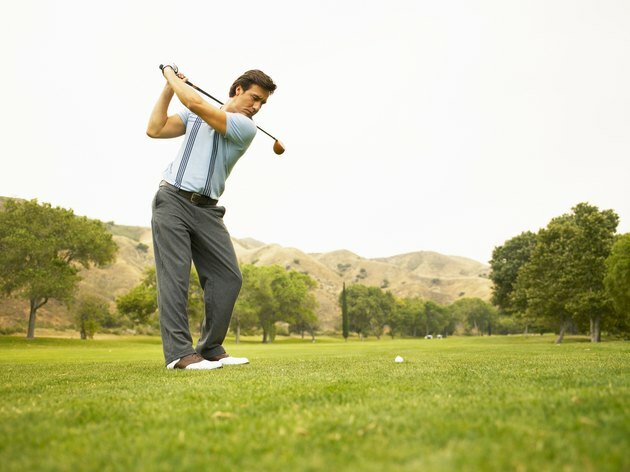 Participation in certain sports, such as golfing or canoeing, also can cause swelling and inflammation of the tendons. The American Academy of Family Physicians reports that women are more likely to develop the condition than men. If a family member has carpal tunnel syndrome or you have a thyroid condition, diabetes or rheumatoid arthritis, you might be at increased risk. Hormonal changes during the latter part of pregnancy might trigger carpal tunnel syndrome, as can wrist fractures or other injuries. Using ibuprofen and other over-the-counter anti-inflammatory pain medication can help relieve tingling and pain due to carpal tunnel syndrome. Steroid injections also might provide short-term relief. Your doctor might recommend that you use a splint at night to keep your wrist from bending and also might advise you to wear the splint when performing tasks that aggravate your hand and wrist. Physical therapy can be helpful in strengthening the wrist. If carpal tunnel syndrome doesn’t respond to other treatments, you might need to avoid the tasks that cause the symptoms or find alternate ways to complete the tasks that don’t stress the wrist. Your doctor might recommend carpal tunnel surgery to release the tissue impinging on the median nerve if your symptoms are severe.